Zaher Fallahi - California - Book a consultation instantly! 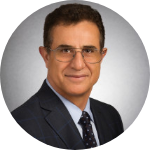 Zaher Fallahi, Attorney At Law, CPA, is a California Tax Law Firm and practices as Orange County Tax Attorney and Los Angeles Tax Attorney. We advise clients with undisclosed Offshore Accounts; Offshore Voluntary Disclosure Program (OVDP), Streamlined Filing Compliance Procedures, Report of Foreign Bank and Financial Accounts (FBAR), Foreign Account Tax Compliance Act (FATCA), Tax Audit Representation, Federal Tax Liens/Levies, Employment Taxes, Innocent Spouse Relief, Non-Filed Tax Returns, Offer-In-Compromise, Tax & Legal Implication of Business Formation, Estate Planning and Civil Litigation. Zaher Fallahi is a California CPA and testifies before the court as an expert witness on tax and accounting matters. We advise litigation attorneys on tax-favored settlement agreements within the provisions of the Internal Revenue Code Section 104; tax-exempt awards, assist the winning parties with taxability of the settlement and awards, and the losing parties with tax deductibility of the judgment and legal fees. Zaher Fallahi is an OFAC Sanctions Attorney and advises clients with respect to the US Treasury Office of Foreign Assets Control (OFAC) Regulations concerning Iran; the Iranian Transactions and Sanctions Regulations (ITSR). We believe that our clients are the most valuable assets we possess and we are committed to protecting them zealously within the law and achieving the most desirable results for them at the most reasonable cost. Our clients come from over 30 different countries and many states. Zaher Fallahi, Attorney At Law, has been rated 10 out of 10 by Avvo Rated 10 of 10 . Zaher Fallahi, Tax Attorney, has been ranked a top tax attorney TOP Tax Attorney About 1.8% of the US lawyers are also CPAs, and we are proudly one of them.